Yes, Social Media is here! Yes, your grandparents are using it! Yes, it’s a great way to network, find jobs, and stay connected! I had a few interesting conversations with other fellow educators and professionals about social media in the last few weeks and why some people just don’t get what it’s all about. 1st Question: Why doesn’t someone use it? I’m not talking why someone doesn’t use it like a social media mad man like me, I’m talking about why don’t they even have an account to stay in touch with family, friends, coworker, or their favorite store. I’m thinking the main reasons are fear and/or lack of knowledge about this new medium (not really that new by the way). How often do you hear about workshop happening on who to use/setup a Facebook account? How to use privacy settings? How to development and maintain and “Like” page? Not very often I must say – Why not? Ask someone who doesn’t use Facebook, why not? I want to know! 2nd Question: If you create Social Media will it develop itself? That’s a big fat “NO”. 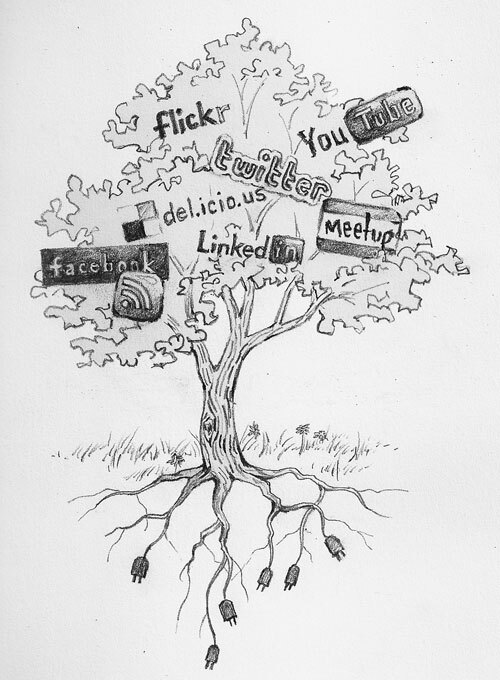 Social Media is a community that needs to be constantly development, maintained, monitored and engaged. Just as a quality online course wouldn’t run itself, Social Media needs a facilitator or facilitators to help it develop, grow, and keep the online community engaged. Social Media isn’t a replacement for a website, which even today’s websites are becoming less static and more involved with the Web 2.0 community and it’s Social Media connections. 3rd Question: Should Social Media have a personality? What should your Social Media personality be for your site? If you Social Media presence is personal or business related, you site should have a personality to connect with it’s followers, friends, or whatever you want to call them today. An easier term would be to connect with your audience. Who is your audience? What are your trying to say with your Social Media site? Are Social Media Experts a Dime a Dozen? Hopefully you have had a little bit of time to digest my Social Media rant – Maybe you can tell me : Is Social media a Fade? What makes quality Social Media? I do not think social media is a fad. The platforms will evolve and change but the idea of social media and engaging with others online is here to stay. For businesses, the key is to view social media as a two way conversation and build relationships with their clients and prospective clients. You need to be “social” to be part of social media – it doesn’t really work otherwise.